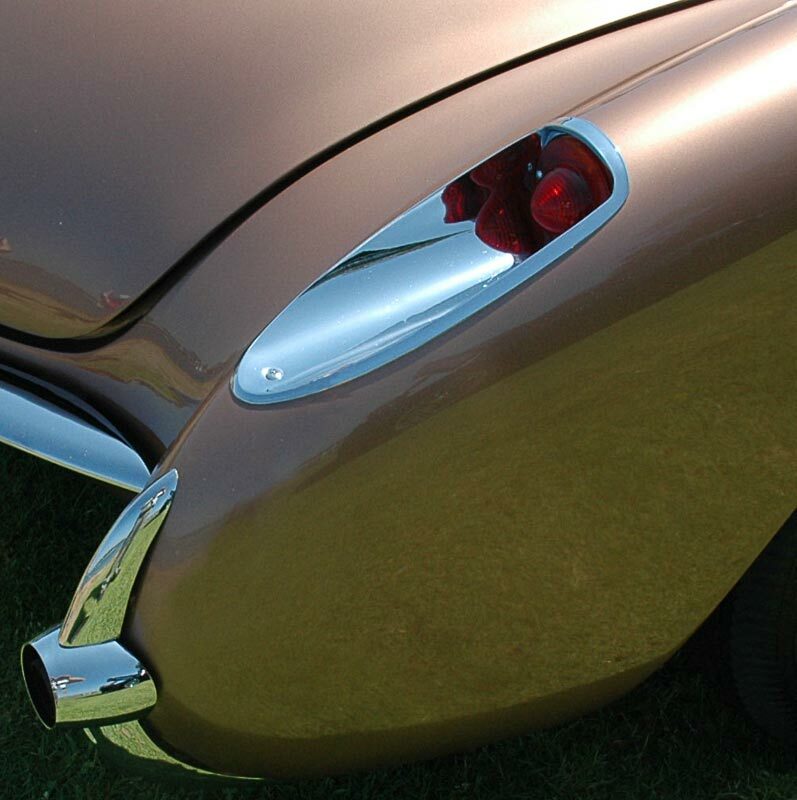 1956 and 1957 Corvettes shared the same single headlight body style. 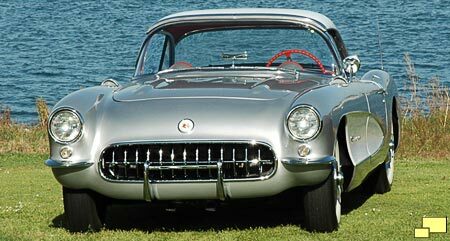 The grill was the same as the 1953 - 55 vettes but the tail fin (right) was more subdued. 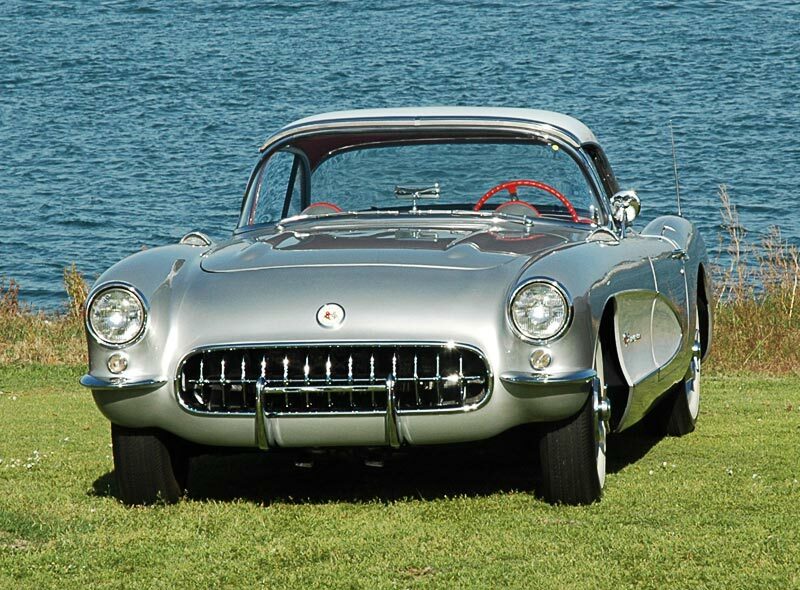 The cove area, which would become a Corvette trademark, was introduced. 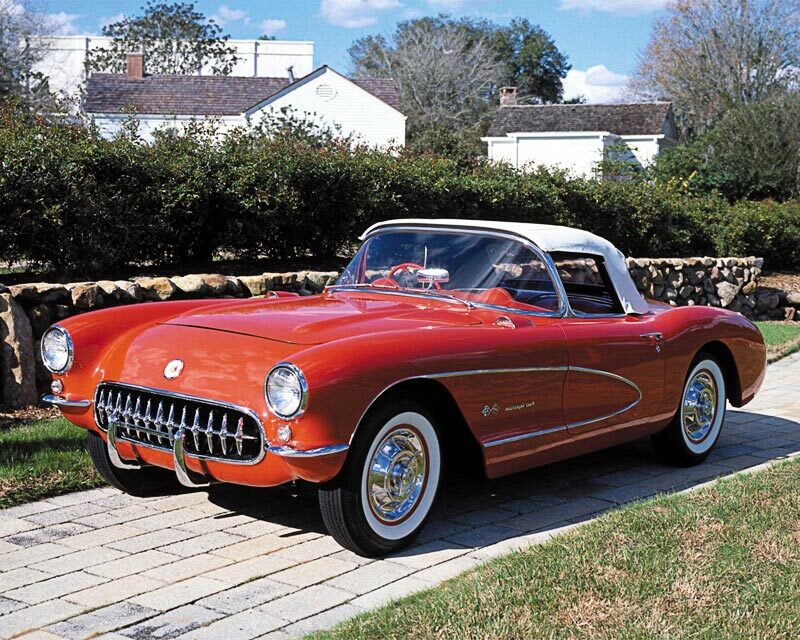 Differentiating the '56 / '57 Corvettes is not easy as they are mostly identical. 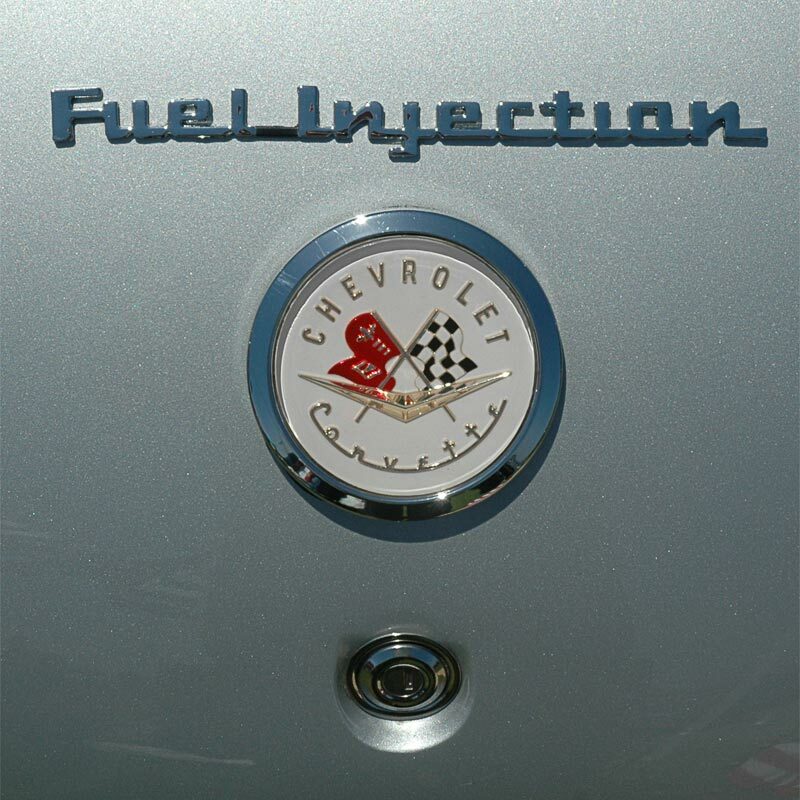 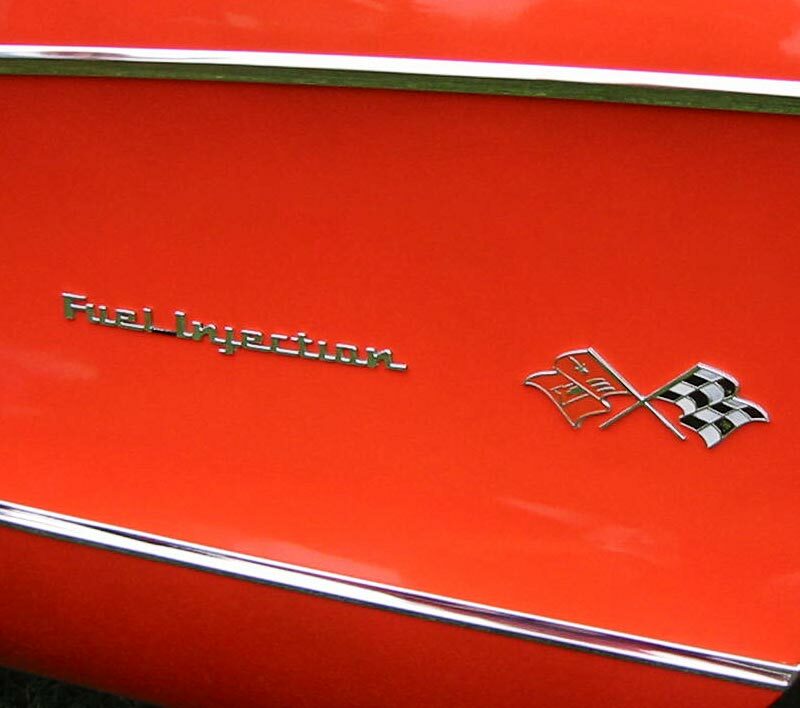 About the only certainty is if the subject has fuel injection which would include the fender (above) and trunk script (below) it can only be a 1957 as that option was not offered in 1956. 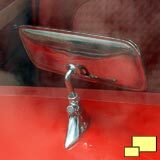 Below: Another 1956 or '57 clue is on the dash mounted rear view mirror. 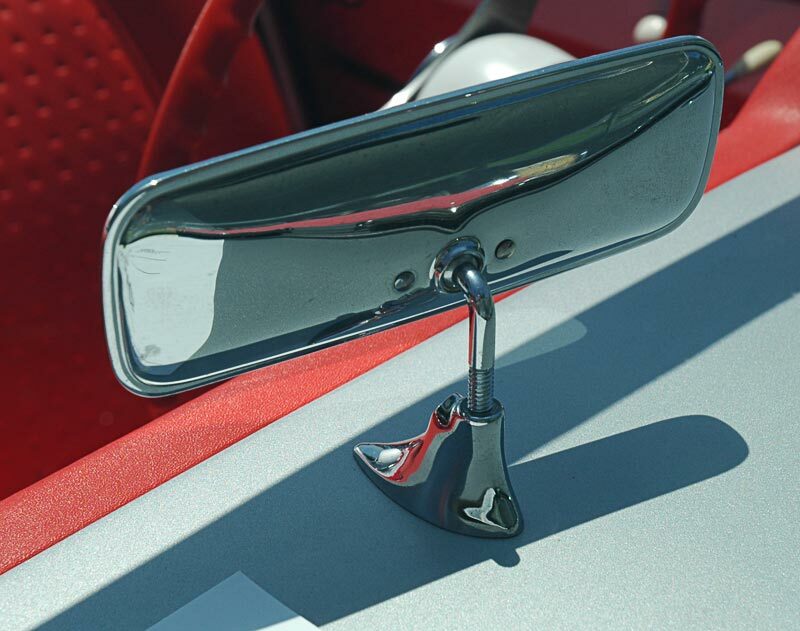 On the left is the 1956 mirror and on the right is a 1957 mirror; note the jam nut requiring a wrench to loosen it for adjustment. Be aware that there are reports that a few mirrors without the jam nut were installed on '57s. 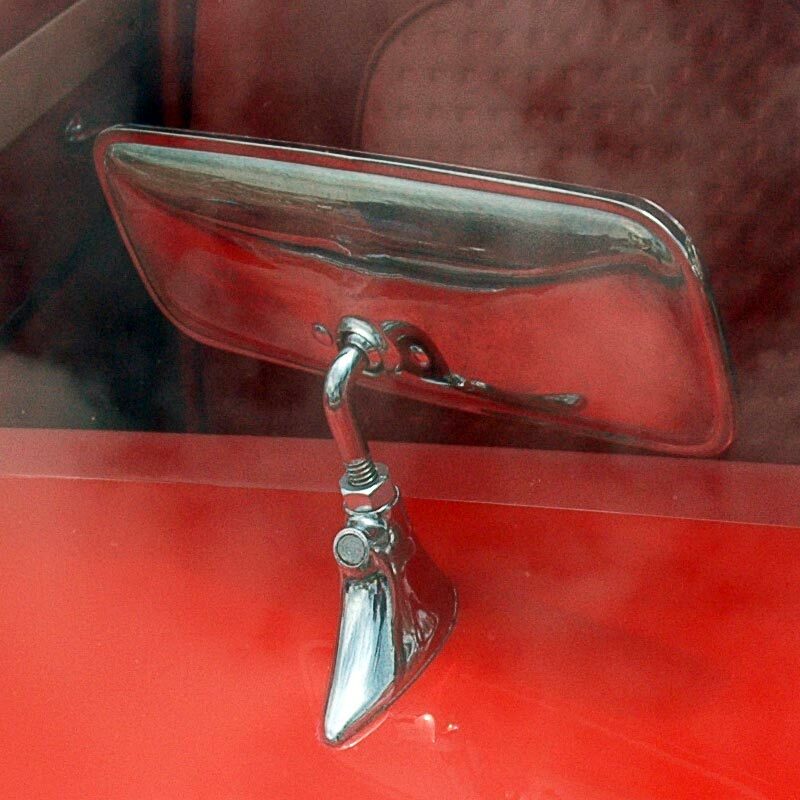 All the 1956 colors were also available in 1957 with one addition: Inca Silver, a particularly striking hue. 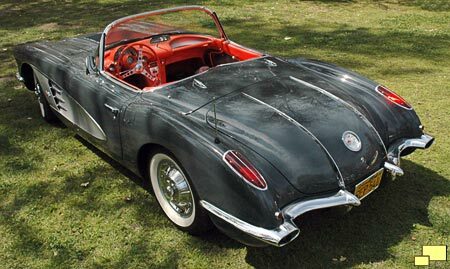 Unfortunately only 65 were built in that shade. 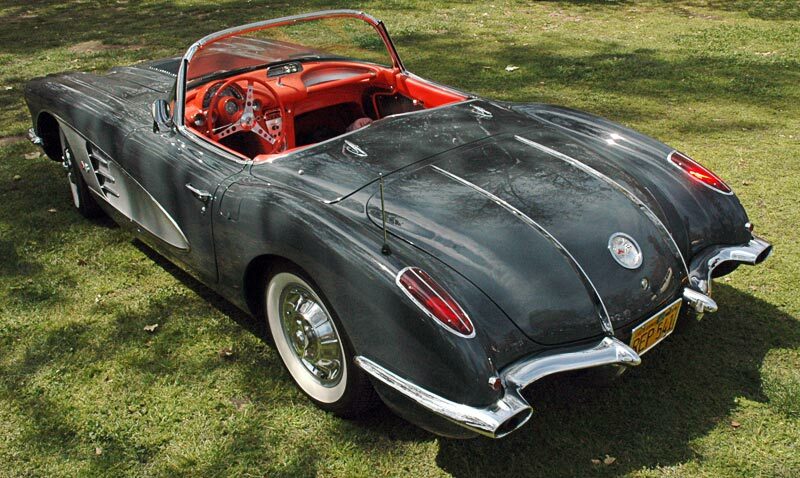 1958 featured a major styling upgrade, distinguished by the four open headlights which would continue through 1962. 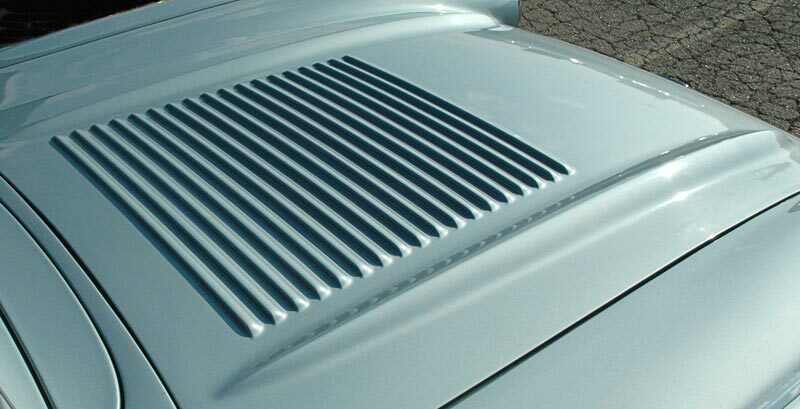 Identifying a 1958 Corvette is easy; that year featured hood louvers (above) and twin chrome trunk spears (below). 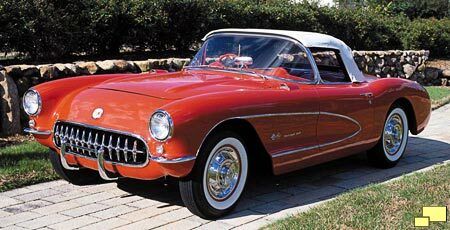 Both items were exclusive for 1958.